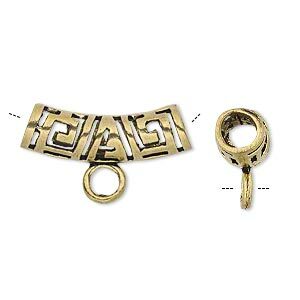 Bead, antique gold-finished brass, 25x8mm curved round tube with cutout Greek key design and loop, 4.5mm hole. Sold per pkg of 2. Item Number: H20-A1206MB Have a question about this item? 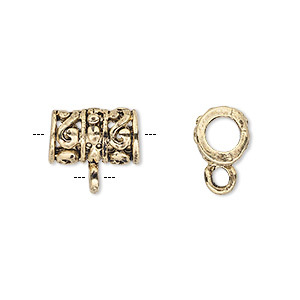 Cast brass tubes feature an openwork Greek key pattern that allows cord color to show through and reduces the weight of the bead. Tube accepts stringing material up to 4.5mm thick. 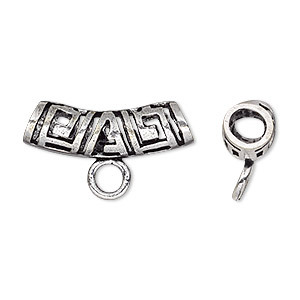 Loop gives options for adding charms, drops and beads. Each tube is finished with gold, then given an antique finish. 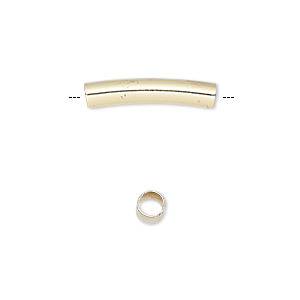 Bead, gold-finished brass, 20x4mm curved round tube, 3mm hole. Sold per pkg of 10. 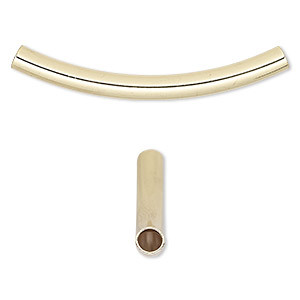 Bead, gold-finished brass, 53x5mm curved round tube, 4mm hole. Sold per pkg of 4. 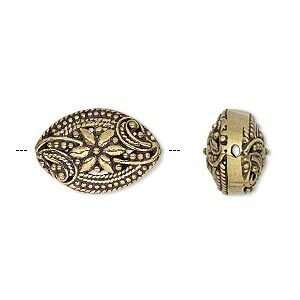 Bead, antique gold-finished brass, 18x13mm puffed marquise with flower. Sold per pkg of 2. 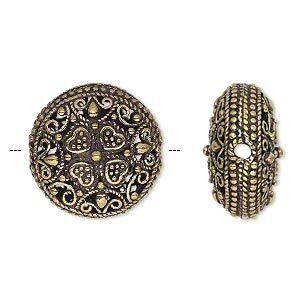 Bead, antique gold-finished brass, 20mm puffed flat round with heart design. Sold per pkg of 2. 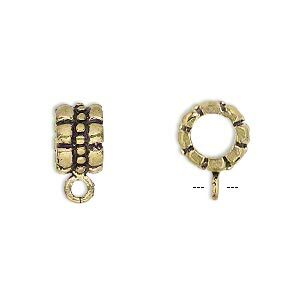 Bead, antique gold-finished brass, 10x7mm textured rondelle with loop, 6.5mm hole. Sold per pkg of 2. 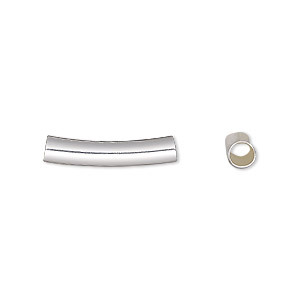 Bead, silver-finished brass, 20x4mm curved round tube, 3mm hole. Sold per pkg of 10. Bead, silver-finished brass, 53x5mm curved round tube, 4mm hole. Sold per pkg of 4. 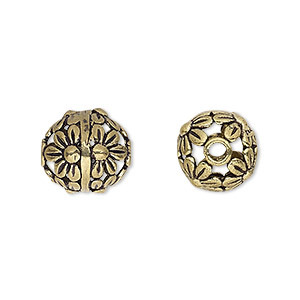 Bead, antique gold-finished brass, 12mm round with flowers, 2mm hole. Sold per pkg of 4.